I s there something so great and so impressive in me that I could boast in Christ? Comparing myself and my achievements to what Christ has done for mankind, I am just a pinch of sand. But, what is so impressive about Him is that despite the greatness of His works he humbled Himself. Reflecting upon His works and deeds, I admit that I can’t understand what Christ wants to tell me about humility because there are some points in his works and deeds that somehow disagrees in my perspective. But allowing it to speak on my own perspective, I realize that Humility doesn’t depend upon my perspective. Humility is the perspective of Christ. Reflecting upon His works and deeds, Christ is inviting me and challenging me to abide on His perspective. I admit it is hard to be humble like Christ because I cannot deny that I have the tendency of boasting my achievements, success, fame and goodness in life. However, despite the difficulties of abiding my perspective in Christ’s perspective, Christ assures that if I will just do my very best to lay down my own perspective of humility with him, to abide in His humility, is not a burdensome. Practicing Christ’s humility is not a one-night practice but a lifetime assignment and exercise. 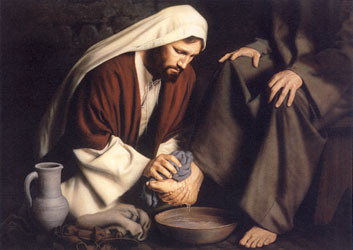 After being inspired and challenged by Christ’s works and deeds, I remember what St. Paul said in his second letter to the Corinthians; “If I must boast, I will boast of the things that how my weaknesses.” This is so far my answer to my question that I have on my mind on how I will start practicing Christ’s humility in life. I have just thought that nothing compares to the greatness of Christ’s humility that even if He is so great, He humbled Himself. From this I realized, we cannot humble ourselves without Christ for he is the clearest description or definition of the word “Humility.” Without Christ, humility cannot be defined or be described itself. 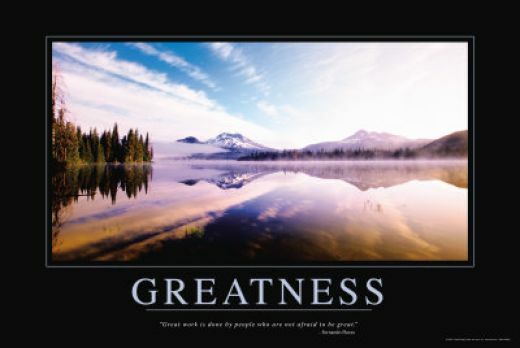 What is greatness? It is a tendency for a human person to seek greatness. We cannot deny the fact that greatness makes a human person famous. Greatness glorifies the entirety of the human person’s being. Greatness makes man appear the most intelligent, honorable, successful, rich, brilliant and best among the rest. We could easily affirm into our own insight that these are today’s world definition or description of greatness for we cannot deny the fact that we are “in” the world and we are being affected by its rapid changes. But, when I am reading and reflecting upon Matthew 20:17-28, the world’s perspective on greatness seems so different and contradictory to Jesus’ perspective on greatness, i.e. to be servant of all. As I am reflecting upon Matthew 20:17-28, I learned and realized that for Jesus to be great is not to appear as the strongest link or entity in the world rather to be great means to be humble and to serve the least, the weakest, the dumb, the poor, and the less fortunate among the rest without any prejudices, stereotypes, and biases against them. Greatness is humility in service. Humility in service is not doing what you want for them, but doing what God wants for them. It is not for the sake of uplifting, glorifying and remembering our names and identities on them, but it is a total giving of our life, our time, our talents and capacities, and our support to the people whom we know are incapable and in need. It is not an alibi to close our hearts to the needy, rather it is an exercise for us to open our closed hearts to them and to be ready to serve them, to listen to them, to mingle with the, and to be with them. While Ma’am Heidi is explaining and discussing to us postulants the Dark Night, I went back and recall my recent dark nights. As I am pondering it deeply, I realize that “dark nights” helped me to understand my weaknesses and draw backs in life. It is impossible for me to count now how many experiences of “dark nights” I encountered for the past years of growing and advancing in age in the seminary. But, I just realized now, “dark nights” are necessary in life for it reminds me that God is important in my life and in every decision that I take. What an irony to say; In every “dark night” that I experienced in life and that I am experiencing right now, God is presently showing his love in me and in my decision makings, yet living a life together with “dark nights” make me distant with the love and goodness of God. However, taking into consideration this realization, I just become aware that there’s no easy way for a good and happy life. All options in life have its consequences. The real meaning of life is not on its happiness and goodness alone, but it is on how we take our dark nights which brings consequences and challenges in life. Today, I’ve learned that to live life in the fullest amidst dark nights is a matter of decision. If decisions are governed by patience, perseverance, prayer, communication, connectivity, and openness, people will understand better that there are no wrong decisions in life. If people know how to handle the dark nights and the consequences of the decision that they take, for sure, there will be no regrets and feeling of resentment at all. 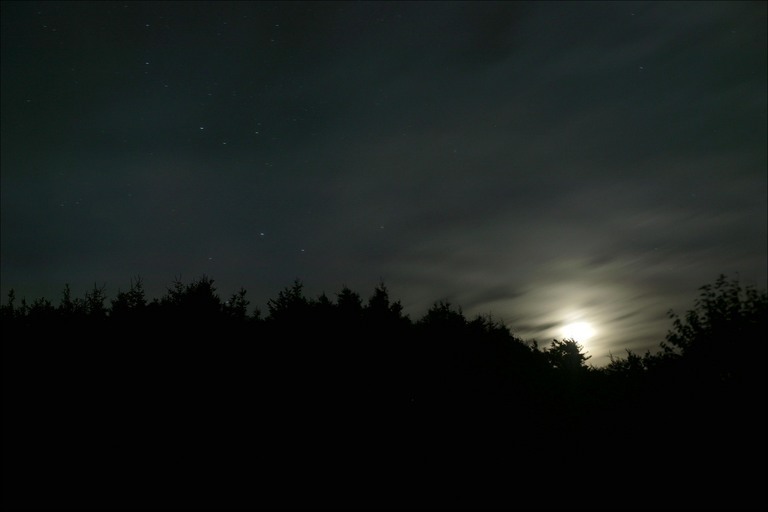 Dark nights may be hard to accept and to hold on, yet every dark cold night has stars that shine and glimmers. It is the same with our dark nights in life. Be not afraid with our dark nights in life for in every dark night there is a hope that brings encouragement and trust in God. All of us are afraid to die. 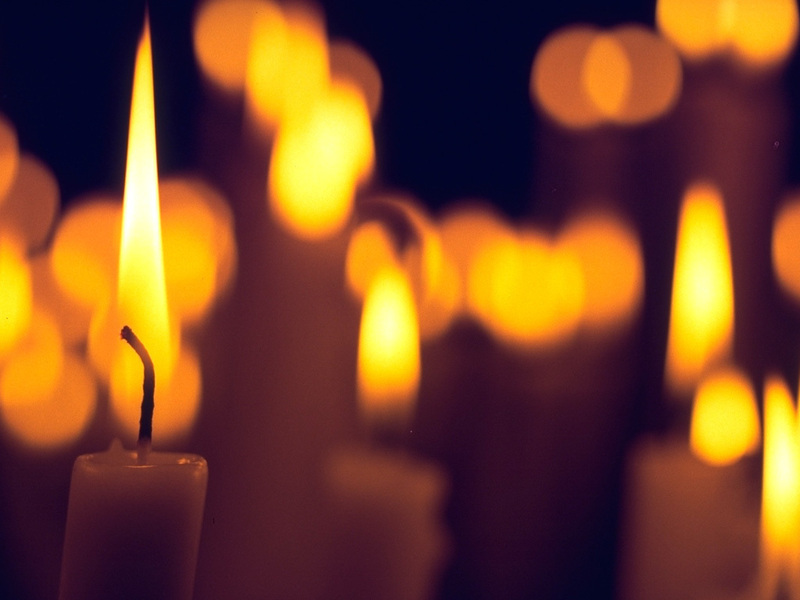 When we speak of death, we describe it as the most tragic and horrifying experience in life. We are afraid to face the reality of death because we don’t want to leave this world unfulfilled with our personal missions, agendas, dreams and commitments in life. Before we die, we see to it that everything is fulfilled in our lives. We do our best not to face death, because we cannot deny the fact that we are not yet ready to leave behind the people who became significant and special in our lives, the honor, fame and everything that we are experiencing and enjoying here on earth, the lifestyle that we have, the plans and dreams that we are aspiring and striving to be fulfilled for our lives, ourselves and most significantly our future. Death may seem so frightening and distressing in the perspective of some of the people, but in the perspective of God, death is something to be embraced, cherished, and not to be feared. Although death is the end of the person’s pilgrimage here in earth, it assures us that through death, being in union with God is possible. Death is the final stage of our lives physically, the culmination of everything that we have traveled in this physical journey God has given us, yet it is our starting point, a new beginning, a new voyage in order to see God face to face and being with him to live in His presence. Death is a manifestation for all of us that the ultimate goal in our lives is God Himself for He is the way, the truth, and the life. Hence, according to St. Paul, at the point of death, God assures us that we too might live in newness of life and be united with Him in the resurrection just as Christ was raised from the dead by the glory of the Father if we believe. Yesterday’s commemoration of all the faithful departed reminds us that death is a reality yet a participation in the death of Christ so that we can also share His Resurrection if we die in His grace. Every tomb that we see in the cemeteries speaks to us that we have only limited time here on earth and we are not the authors of our life. All of us will experience death. But, if we die with a desire to be with Christ it is a guarantee that to live with Him is a possibility. We should not be afraid about the reality of death. We should think of those people who have gone ahead on us especially our loved ones, for sure they are now enjoying their lives with God. Every faithful departed is a reminder for each and every one of us that even they died physically their presence is still alive in our hearts and refreshed by Christ. Let us continue to pray for them that they may fully reached and lived the newness of life in Christ. What do we know about saints? When people are asked to describe a saint the common answers are usually the extraordinary person who performs miracles, wear weird clothes, lived a life differently, geeks, someone living outside the fad of the world, and introvert. Saints seem so indifferent and insignificant to their eyes because their lifestyles and perspectives are far-off to the lifestyles and perspectives of the world. Their lives seemed good only for publication and commercialization rather than for inspiring our actuations. Who really they are? Are they just displays? Why are they venerated? Why are they recognized and canonized by the Church? What are the things that we could learn and cherish from their lives? Saints are ordinary and simple people who embraced the life of Christ. They are role models for our life and our faith. Their lives are manifestations for us in living out the love of God, and it is possible. They are those who have attained peace and serenity in their mind and in their heart with God, which the world cannot grant. They are those who gave up their time, talents, career, fame, honor, occupations, intelligence, and lives for the sake of loving and embracing God and the humanity. They are the heroes of faith. They are reminders to all of us that even in time of great distress and even in the time of rapid changes in the world, holiness are still possible and achievable, in which love rooted in Christ. 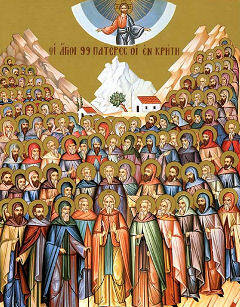 Today is a remarkable day for me because the Church is celebrating All Saints’ Day. This day of rejoicing invites all of us to reflect on the examples of the saints who became a living exemplar of God’s love. I always believe that all of us are qualified to become a saint someday. Saints are just ordinary and simple people like us who cooperated in God’s will and who does an ordinary act of random kindness extraordinarily with love. Sainthood is not a waste of time and a boring way of life. It is an exercise of our capacity to love God and our neighbor. Every saint is a reminder to all of us that despite the complexities, distresses, chaos, and difficulties in the world there is still heaven.